Nantes to La Rochelle 187-396 miles – Do your dream! After seeing how hectic Nantes was for the festival we planned to leave early. However the night before we met an English couple who invited us for drinks, so it wasn’t that early a night. Rather embarrassingly we had no drinks to take round as our tent lacks a fridge and the local shop was closed. But, kindly, they plied us with wine and beer and all we could supply was our good looks and charm. Very generous of them and we did feel guilty…. We did manage to leave reasonably early and glad it was a Sunday as the route out of the city was through the main city centre. Mainly on marked roads or cycle paths but would normally be busy with people blindly walking on them. The crowds were starting to gather too so glad we left when we did. Though flat and smooth the first 15 miles wasn’t the prettiest but then we hit the Loire and it made up for it all the way to the Atlantic coast. Luckily we checked the map and noticed the way across the river was just a dotted line and not a bridge. Not knowing what to expect we just hoped, and low and behold there was a ferry. And it was just leaving, and even better it was free! So we made camp at an acsi site on the beach with a nice pool for a quick dip and a small bar for a quick beer. After around 45 miles we’d earned it though in honesty it was the smoothest and easiest ride so far. After a quick rain shower the following morning we left going for the same smooth and flat terrain but sadly not. Pretty good but some little hills made our legs burn a bit! 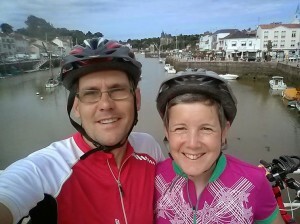 But the scenery made up for it with pretty towns, coastal paths, salt flats and forests and overall a lovely 48 mile day! 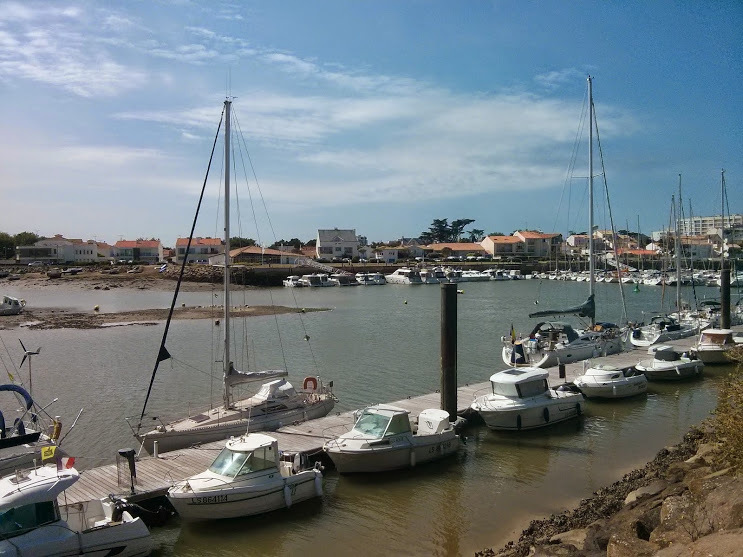 The only downer was the causeway to ile de noirmoutier was underwater and we needed a long detour on a busy road which wasn’t pleasant. Rather annoying too as we saw a sign with low tide times and it should’ve been okay but when we got there the low tide times were different. 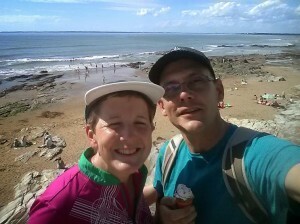 Top tip: don’t trust a tide timetable if it doesn’t show the year…..
We made our target campsite which is just off the beach but has a free spa and jacuzzi that we thought we’d earned so opted for a day of rest here too to make the most of it. So with lovely sunshine we had a day of swimming and reading and recovering. We also found the campsite had a bike service point which was an unexpected surprise but meant we could clean the bikes and use the compressor to get the dust off and sort out a slow puncture we’d had from day one. Even more surprisingly we were looking forward to returning to the journey! 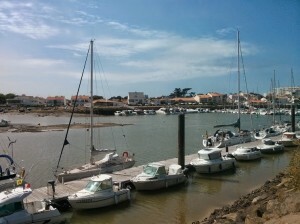 The next part of the route was good going with lovely views of beaches and harbours as well as fields. Quite varied which was good and undulating in parts which was bad. Nice icecream which was deserved and a detour due to bridge replacement which was not. Karma evens out! 54 miles in good weather to a great acsi site which only charged us €9.50 which was even better. 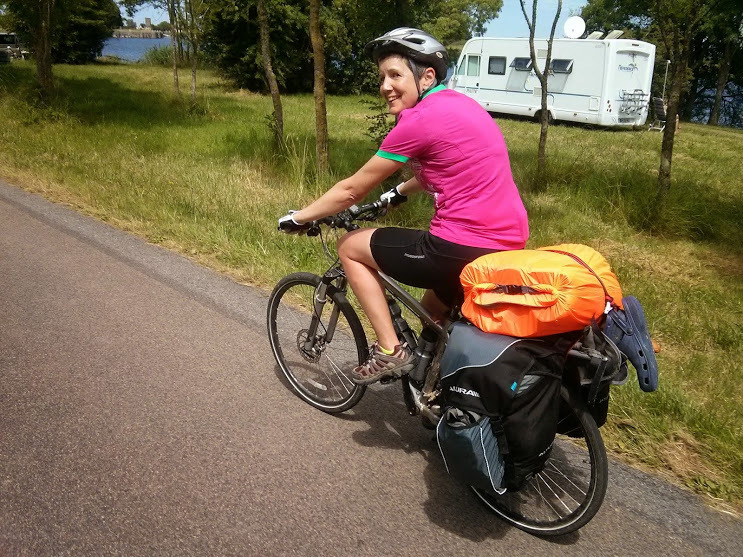 The GPS maps are great as is the marked EuroVelo 1 route , but as it’s off season and the roads are quiet we have sometimes cheekily nipped along a quiet road to cut off a corner or favour smooth tarmac over packed sand path. When we awoke we decided the ride had started to take it’s toll on our bodies and Mel’s knee was aching, so we planned an easy day. However, best laid plans and all that, the route was interesting enough but in one part was baron and endless with a headwind – a bit like route 66 I’d expect. 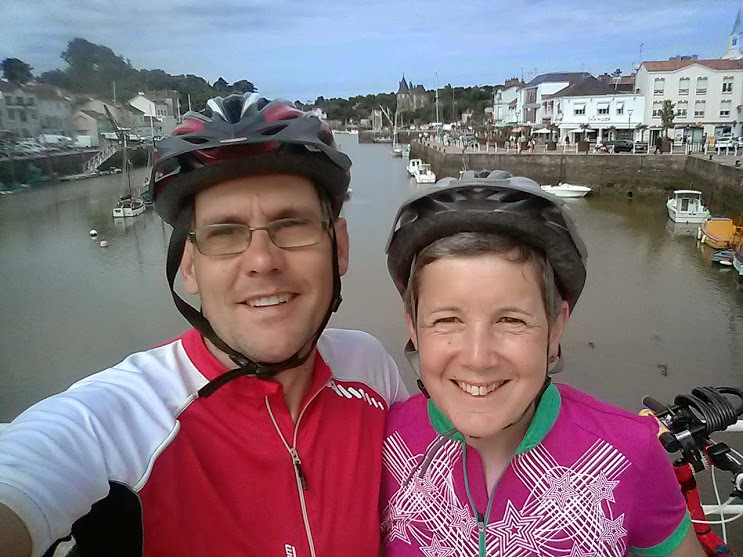 Also some of the route looked unused so no idea if there was another version… Anyway, Mel’s knee started working so we thought we’d just make it to la Rochelle and have a good meal and night out. By this time my knee had started hurting. We made it to La Rochelle but had to make a detour due to another bridge missing and got to the campsite only to find it was closed! Doh. So we had no choice but to continue with my knee getting worse and eventually made it to camp after 58 miles, almost 400 completed. We’re not far from a place we know and like on the Atlantic so we plan 2 short days riding to there, just the other side of the Royan-Verdon ferry and just take 3 or 4 days out to recover and surf! Here is a list of stuff we're taking with us.... Each item seems to best, or best value for money. Lots of new toys which hopefully will have use after the event! Was great meeting you both, and we’ll be following your travels on the blog. Hope the knees hold out.